Alea is the company behind some of the best casinos like SlotsMillion and LadyLucks. It’s also a pioneer in VR gaming, making it possible for players to immerse in a totally different casino experience like never before. Aside from adding more games and developers to their popular sites, there’s plenty of important behind-the-scenes action that often doesn’t receive due attention. The founders Alexandre Tomic and Charles Gross have been making sure things are going in the right direction, including sensitive matters like compliance and player safety, but also making their online casinos more fun and enjoyable for everyone. So, make yourself comfortable as we go behind the scenes in an interview with Alex, where among other things we talk about interesting VR projects, the state of iGaming and their plans for the future 🚀. It’s exciting to see SlotsMillion at the forefront of online casino innovations. You’ve just announced the next big thing: Social VR Casino. Could you tell us what does it mean for a player and how is it different from your current Virtual Reality Casino? The first version of our VR casino, which was developed in partnership with Lucky VR, was released in summer 2015. It did have social elements – multiple players could be in the casino at the same time, and they could communicate between each other and with customer support agents. However, with social interaction becoming more and more important, we needed to switch our focus a little and are now working on a new version of the VR casino, being developed with Unreal Engine. Hopefully we’ll be able to tell you more about it over the next few months. The problem is that it’s tough to make VR work for the current market. Firstly, there are not enough high-end headsets available yet and these are extremely important for the full VR experience; mobile simply isn’t immersive enough. Players also need equipment capable of handling VR’s requirements – headsets first of all, but also powerful computers, which can end up very expensive. They also need the skills to understand how it works, and then they need to be gamblers – and even if they can check all of these boxes, we still have to face the reality that as a real money gambling application, we’re simply never going to reach big VR and gaming stores such as Steam, Oculus, PlayStation and Xbox. 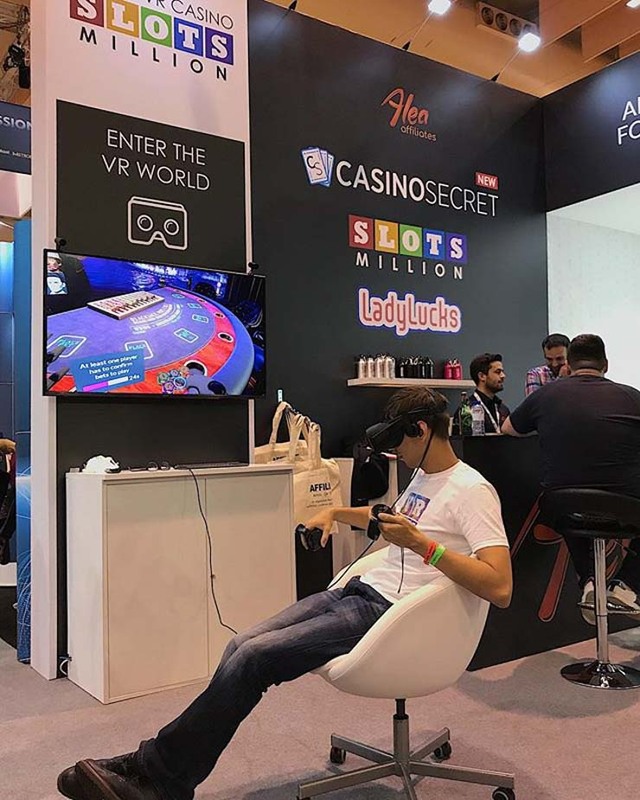 These are full of young gamers and understandably, the stores don’t want to expose these players to real money gambling – therefore, the only way to promote a VR casino is to make it social. Although it’s not currently our main focus, we love VR and we have an outstanding VR casino application, so we are looking forward to releasing a social version in the future. SlotsMillion has grown tremendously over the past years: there are now more than 3,000 games and 100 developers, including popular providers like Novomatic, Scientific Games and IGT which customers can play from this year. Could you give us a hint as to which games we may see in your social VR casino? Do you think game developers are starting to embrace this technology on a bigger scale? Last July we released an immersive mobile VR version of Pragmatic Play’s Sugar Rush, which was very well-received, and we can see from that and from games like Evoplay’s VR slot Necromancer that game developers are starting to become interested in creating games in VR. Necromancer is the first of its kind, but in an industry as innovative and fast-moving as this one is, it probably won’t be long before other providers start to follow suit. That’s great – Can’t wait to try them out! So, when will the social casino be ready and made available to the public based on current estimates?! We can’t give an official date yet – you’ll just have to be patient! 👍 Recommended read: Exclusive 10 Free Spins for New SlotsMillion Players. You’ve recently got a UK license despite the fact that online gaming regulation is getting stricter and has been a hot topic, especially for the past year, for both affiliates and operators. What’s your take on this? And how you’ve approached social responsibility on SlotsMillion and LadyLucks? Regulation is extremely important in an industry like this one, and the fact that it’s getting stricter is a great thing. I firmly believe that operators should take responsibility for themselves and for the safety of their players, so this is a huge step forward in that respect. However, it would be very easy for the increase in regulation to cause casinos to suffer and even die out – that’s why operators really have to step up and make sure everything we’re doing is compliant. After all, we’re dealing with something which could cause addiction. We have a responsibility to our players, and we need to constantly question ourselves to make sure we’re doing everything we can to keep them safe. To this end, we have developed tools and features to protect our players – ones that are mandated by the UKGC, such as cool-offs and self-exclusions, but we also have optional features, such as a withdrawal lock which stops players from re-submitting bets and losing winnings, and a max bet feature which means players cannot invalidate wins by accidentally exceeding bet limits when playing with bonus money – or, indeed, are simply not able to play with bonus money on games where it can’t be used. We integrated GamStop, the UK’s national self-exclusion scheme, which excludes players from all UK-licensed casinos, to both SlotsMillion and LadyLucks before it was mandatory, and we also have a Responsible Gaming Manager and trained customer support agents who can help players to use these tools. That’s a lot of tools and services that I’m sure make all the difference to a player. Will that also work as intended when I decide to play VR blackjack with my friend at your upcoming Art Deco casino and be fully immersed in the VR experience? Our VR casino obviously follows the same regulations as its online counterpart, but there are a few extra elements. During the development process for our first VR casino, for example, we met with the Malta Gaming Authority to establish some guidelines for this new medium. For players to be able to see the time during their visit to the casino, we had originally envisaged that they would turn their wrists and look at a watch, but the MGA requested that the time was simply always visible on the screen, so that players were unable to lose track of how long they’d been playing. This was interesting considering that casinos in Las Vegas don’t actually have clocks in them at all! What about the other side of the story. Can there be too much regulation? And how much of a negative impact can it have on an operator who plays a fair game? One of the biggest problems I see at the moment is actually caused by what I consider to be a lack of regulation, rather than too much of it. Some operators are sublicensing their licenses to white labels, who may not have any knowledge or experience of how the industry works. Armed with the basic platform, these companies will then hire maybe three people, usually marketing and possibly some form of support, and launch a casino. Obviously, it’s much simpler to start a casino this way than to do what we did – building the software from the ground up, integrating game and payment providers and becoming licensed; this process takes years, and it’s understandable that people are tempted by the easier route. However, this is unsustainable, and casinos that still do it are unlikely to survive long-term. In my opinion, regulators shouldn’t allow this to happen, because it creates an online casino market with an extremely low entry bar, overpopulated by products that are essentially copies of each other and need to rely on bonuses to compete. When they inevitably raise their bonuses to acquire players, other operators – including those who have put in the work – have no choice but to rise with them, culminating in a situation where the market is saturated and competition is so fierce that it becomes necessary to stop and try to come up with a new way to acquire players. All you can do in a situation like this is try to stay afloat until the competition burns itself out – but this can be risky, as you never know for sure that your casino won’t be one of the weaker ones. As I mentioned previously, it would be easy for an increase in regulation to squeeze operators too tight. But we need to be aware of the industry that we’re in, the product that we’re dealing with, and to understand that it’s crucial for operators to take responsibility for their actions and care for the wellbeing of their customers. The more the industry recognises this, the stronger regulation will become – which can only be a good thing. The industry seems to be responding well to the fact that you bring something new to the table and you have plenty of prestigious innovation awards to prove that. What’s your vision for SlotsMillion, LadyLucks and Alea as a whole in 2-3 years? We’re very proud of what we’ve achieved so far and honoured by the way it’s been received by the industry. We are currently working on some new features for SlotsMillion for 2019 that we can’t talk much about yet, but we can say that they’re going to be social-focused. 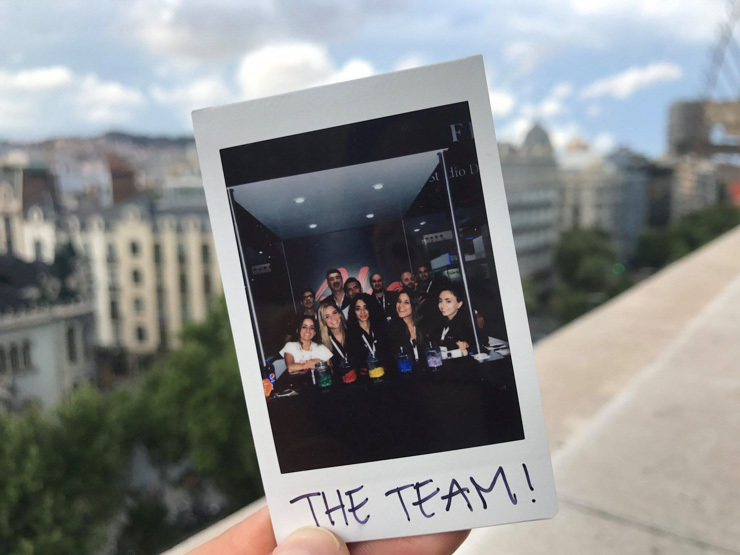 Alea will always be driven by innovation, and on that note, our current big thing is the launch of our new project Casino Secret. It’s an original new concept where players get cashback on losing bets, with the added benefit of not being held captive by wagering requirements. We believe that aside from the win elements, players come to casinos to have fun and chill out a bit, so we want to give them the chance to enjoy their time there without having to worry about burning through all their money within a couple of minutes. Thank you and good luck on the upcoming International Gaming Awards! 🔔 To learn more about the company, visit Alea.com or visit their casinos SlotsMillion, LadyLucks and Casino Secret to get first-hand experience.